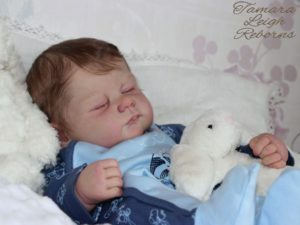 This sweet hard to find reborn baby for sale is currently on ebay. 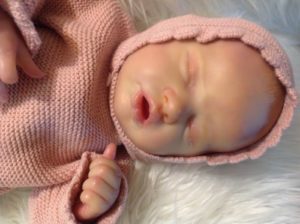 This is your chance to own your own Indie kit baby. Beautiful baby girl INDIE by Laura Lee Eagles. I made her with many translucent layers of genesis heat set paints to give her a realistic skin color. I seal her with mate varnish .her eye lashes has been rooted witn delta down mohair and eye brows too , painted hair , Realistic veins ,molting and blush all in the right places for more realistic look. 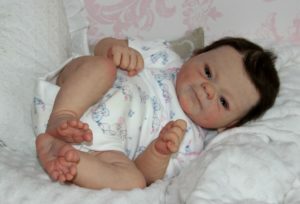 Full limbs, head and body are been filled with glass beads and ultra soft poly-fill to give her a realistic weight as a real baby. 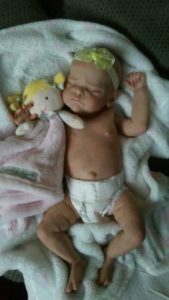 She is going home with:1Blanket, 2 set of clothes ,pajamas 1 magnetic bow, 2 diapers, 1 Socks, 1 toy, and COA .she is limited edition only a thousand world wide. ( Sold out edition ). 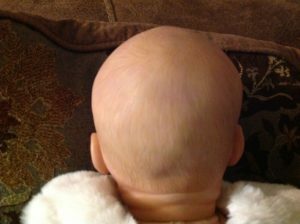 Please be careful baby can’t be close to a person with pacemakerBecause magnets are very strong .I can remove it upon request. Click here to see the full ebay listing for this baby.